I started gardening when I was around 6 years old. At that time, I loved to grow flowers and make pretty colorful arrangements in containers. I was living with my parents in a city appartment with a terrace. When I was 18 I stop gardening and only started again when I was 25 as I discovered permaculture (in 2006) as I was travelling and visiting eco-communities. I became enthusiastic with the idea of growing my own food and growing perennial crops. Since then, I was growing an urban first in Portugal, then in Austria, and since 2010 in Iceland. I live in a house rented for 2 months in north of Scotland. Climate is cold here and the house is terribly insulated and temperature drops to 13°C (55°F) at night! The house is rented and I am limited in what I can do in the house. And it´s short-term. I use mostly the wood heater, trying to keep a good fire throughout the day, and sleeping with a thick blanket at night. But still I crave for a bit some comfort. Electricity bills here are crazy expensive, and even without using electricity for heating, it still is very expensive to keep just the fridge and hot water for shower in the bathroom (basically I am having a shower every 3-4 days). Besides wandering around with hot cups of teas and dressing all sweaters I have, what else can I do? We have a baby (and I also have a couple of tomato plants indoors), so we search to have a much warmer and confortable living room. I lived in dozens of rented appartments before, but this is so far the coldest house I have ever lived. Bad insulated houses, cold climate and very expensive electricity bills. Seems to be an ubiquitous problem in north Scotland. In Iceland, where I permacultured for 5 years, nothing would usually survive in green form over the extreme long winter. Other than "red siberian" kale, and only in some winters. Some roots were able to overwinter the repeated freezes and thaws, like black salsify, skirret and groundnut (apios americana). Ocasionally a couple of turnips and swedes. Chives and good king henry were perennial greens but died to the ground overwinter. Rhubarb was the hardiest, surviving right up until near the edge of the ice caps (but still died to the roots). And I noticed that even nearly all native plants, this far north, either die to the ground, or lose their leaves. Except for juniperus, creeping thyme, a few sedum secies, and native blueberries. The winter is too extreme in Iceland, variable between thick snow covers which turn into ice, thaw, and then form again, many times over the course of a 8 month long winter, that has regular hurricane-force freezing winds. Another notable exception was dandelion (some overwintered in green form), so providing the only edible perennial green harvestable over the winter. Permaculture one Bill Mollison - Book - where do you find it? The original book of Permaculture One seems to be quite difficult and rare to find. It currently lists in Amazon at a very expensive price, but somewhere in the web you can read it for free in French (which I can). Does anyone knows of anyplace to buy it at a cheap price, in ebook form, or even a free download in english? It surprises me that such pioneering work is so little known and so rarely sold. 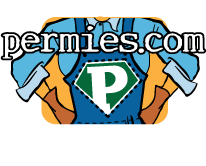 I have been in Permies since several years. My diet is mostly vegetarian, sometimes trending towards vegan, sometimes towards pisco-vegetarian. I don´t eat meat since 12 years, but that was first because I didn´t like the taste. Not because of ideological grounds. Though I am a strong environmentalist. I was vegetarian for about 7 years and since 2011, I began eating fish and seafood more regularly. I drink on and off milk and love butter, but I hate cheese. I was mostly vegan for about 2 years but was hard on my health at that time, so I stopped and returned back to a vegetarian diet. Nevertheless I never had a vitamin/mineral deficiency. I attribute that to my ocasional eating of fish and clams. Still I eat vegan in most days. I stopped being vegetarian when I moved to Iceland, because it sort of didn´t fit the "natural way" of living there (and also the climate was too cold), so I introduced fish. The bulk of my diet is oat porridge for breakfast, and vegan mediterranean-style (or Indian cuisine) for lunch and dinner. Perhaps once a week, I cook fish. I might sometimes eat yogurt and eat twice a week scrambled eggs. I never use sugar or coffee, alcohol is rare. I seriously dislike fast food and processed food! My body is sensitive. I have no gluten or milk allergy. Sometimes I do have gas after eating gluten or milk, but I also find things like pasta and milk nutritious for me. I think my diet is very balanced. And I as buy organic and free range, I think I am also very friendly towards animals and towards the enrivonment. My diet is foremost based eating on instinct, whatever I want. I am 35 and very healthy. I am a permaculturist gardening since 10 years, and I practiced always vegan permaculture, sometimes with worms, but that because I never owned land. Otherwise I would have enjoyed having some chicke, just for eggs, and honeybees. I love growing a majority of my plant-based diet. I have grown nearly every possible vegetable, and I experiment a lot with lesser known perennial vegetables. I dont use manure, compost and mulching sheet soil building, are my key methods. This is my story! Merry Christmas! Tiger nuts (Cyperus esculentus) -- is anyone growing these in quantity? The trick is to grow chufas indoors in a tray container, filled with fine potting soil. Why? First chufas prefer a long growing season, with warmth, so it might be difficult to get such outdoors, but indoors they grow perfectly fine and very easy! Really they require low care. Second, they need well draining sandy fine soil, which is unlikely outdoors with loam soils. 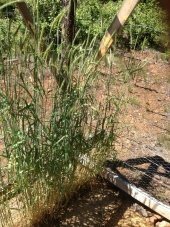 Third, chufas look like grass, so any competition by grass or other weeds will seriously reduce their yield. Growing in a container indoors makes weeding much easier. Fourth: sprouting tiger nuts required warmth (which you wouldn´t get outdoors until early summer), otherwise they sprout only very late in year. Indoors you have that warmrth all the time, so the growing season is prolonged. Yields are far superior indoors (or for that matter, in a greenhouse perhaps). I tried both chufas indoors in a container, and outdoors over 2m2. Indoors was a success, outdoors was a poor harvest. From our grain experiments, so far I´ve only eaten the corn (roasted and it is delicious) and amaranth (tried it simply cooked and also roasted). Popping did not work, neither for amaranth of the popcorn variety we grew. But all varieties of corn seem perfectly edible when roasted. We also tried amaranth chips, tasted good. Amaranth was easy to remove the chaff, simply by use of a hair dryer or in windy weather. The IMPORTANT thing with both corn but especially with amaranth is that they need to dry very well before storage. Otherwise they mold easily. My trick was to immediately roast the amaranth seeds after processing them. So with amaranth and corn, I end up finding the process easy and delicious to eat. The millets have hard shells. Except the proso millet which seems larger sized grain and ready to eat. I will try the blender trick (on the japanese and foxtail varieties). The good thing about the millets is that they grow fast, easy and in poor conditions. Chicken love it. Rice. I tried 3 varieties and they were all slow, despite our warm moist summer. I end up bringing the rice growing in waterlogged containers indoors and only now are finally flowering. Really easy to grow it indoors. I reckon I will harvest the seed heads by December. So this was just fun as rice seems to require a painful long growing season. I will dehull it by trying a blender. Sunflower. I harvested seed but have no time to process it yet. I will try boiling the seed, then cracking the hull, separate it with water, and then bake-dry it to roast it. Barley I grew a hulless variety it seems. It was straighforward to process. Next step is to finally cook it and give it a try to see how it tastes. Quinoa. Sadly the seed heads were half germinating when harvested (summer is rainy here). And after rubbing, seeds are coated in a dark smudge, which comes out if I rub it vigorously in water but it seems like big work. I wonder if this is the saponin or it is some (potencially dangerous) fungi coating. By the look it doesn´t seem inviting to it, and neither did the chicken eat it. Also difficult to process were our tiger nuts/ chufas, but I managed to be successful. They are an excellent perennial and easy to grow starch crop. Especially easy to grow indoors in a container. I have to rub them vigorously to remove the soil from these rugged tubers. This may explain their high cost. Another crop which I had great yields were sweet potatoes. These need to be cured. I placed the harvested tubers on top of a seed germinator (30°C) inside a plastic bag, to give them heat and moisture. Tubers stored well after a week in these curing conditions, otherwise they shrivel. The taste was great! Any thoughts on the quinoa experiment? Anyone tried eating the japanese or foxtail millet? Where could I get hold of the Multicaule Perennial Rye? I actually live in Austria but I couldn´t get hold of it, when I visited Sepp Hozler farm. But as I live in this region, perhaps its easier. Or do you know any website that sells it? Once I got Tim Peters rye but then use most seeds and plants died after winter, and my remaining seeds got non-viable. Anyone has both Tim Peters and Multicaule Rye on offer? I ordered the 6W grow lamp LEDS, as they were very cheap. However each individual of the 3 LEDs is just 2W. I think it is recommended that each led is at at least 3W. Nevertheless as it is very cheap, I tried it. What have you grown so far with them? Could you kindly post some ebay links to the 12 LEDs, 5$ cigar lighter inverter and solar panel. As I am a beginner on these things so I am trying to understand what to buy and not make mistakes. Would you recommend any of the 3W camping solar lamps I posted before? I added a new option. I read that leds should be 3 watts each, to provide the right amount of lumens per led. Option #7 could be above 500 lumens. Perhaps I will buy one of these to try, but I find it handy to also have a solar charged led growing lamp. I am growing some seedlings of trees indoors, and I want to keep them in good health during winter. I have a south oriented window, but still I want a good light on the seedlings. I used before compact fluorescent lamps to grow indoors; but now I want to experiment with LEDs. I dont need much power. Currently I have a solar table lamp, with 4 leds, total 0.4 watt. But I think I can buy much more light lumens, for a very cheap price off ebay. I think a LED lamp between 2 watt to 10 watt is enough. Ideally solar charged or USB charged. There are many cheap deals in eBay, around 10 USD. That´s the price I look for. And the strongest light intensity I can get. Around 300 lumens or more. Can someone recommend a good one? Which light seems to be the best and the strongest, from the selection above?